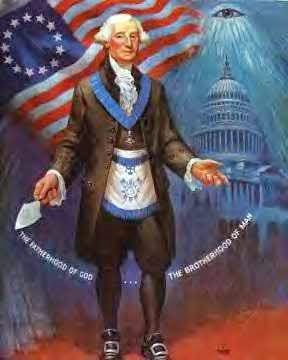 “The significance of the mystical number 13, which frequently appears upon the Great Seal of the United States, is not limited to the number of the original colonies. 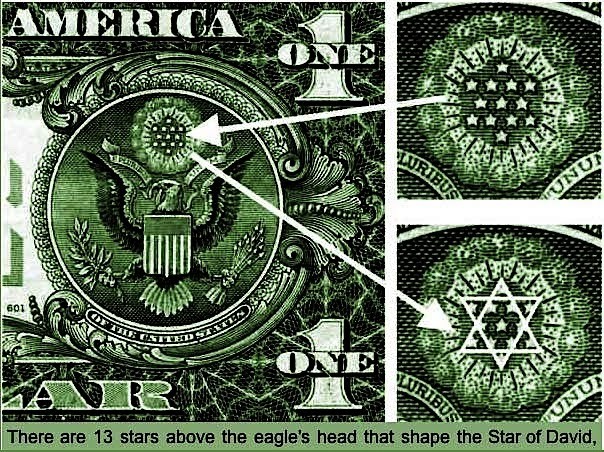 The sacred emblem of the ancient initiates, here composed of 13 stars, also appears above the head of the “eagle.” The motto, E Pluribus Unum, contains 13 letters, as does also the inscription, Annuit Coeptis. The “eagle” clutches in its right talon a branch bearing 13 leaves and 13 berries and in its left a sheaf of 13 arrows. The face of the pyramid, exclusive of the panel containing the date, consists of 72 stones arranged in 13 rows.” - Manly P. Hall; The Secret Teachings of all Ages. If one delves deeper into American history, other 13s are likely to be found, to include the design of the US flag with 13 stripes of red and white. Add to that, the process involved with folding the flag includes 13 steps - each with its own special meaning. When you journey further back into Jewish tradition, the number 13 actually has a multiplicity of special meanings. In ancient times the number 13 became a number of fear and superstition because the 13th card of the Tarot is the card of Death, and is pictured as a skeleton (the symbol of death) with a scythe reaping down men in a field of newly grown grass where young faces and heads appear cropping up on all sides. This image later became known as “The Grim Reaper,” and it was ascribed to the planet Saturn. In medieval England the standard fee of the hangman was 13 pence - a shilling and a penny. But 13 is not always portrayed as an unfortunate number, as is generally supposed. 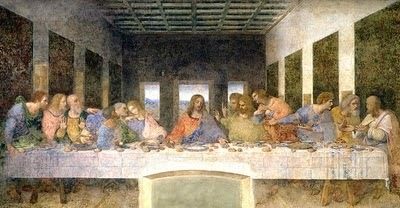 It has become so firmly associated in the popular mind with the notion of “bad luck” that it is easy to forget the fact that in the ancient mystic religions 13 was the characteristic number of participants in many orders and occult groups, including sacred meals – a fact reflected in the size of the original Nazarene Last Supper. There are 12 Knights of the Round Table as well as King Arthur himself (12 + 1 = 13). During the quest for the Holy Grail, a damsel offers Bors (Knight of King Arthur) her love, which he refuses. Because of this the damsel along with 12 other women (1 + 12 = 13) threaten to throw themselves from a tower. Merlin was said to have been captured by Nimue disguised as a hare. The legend says he now guards the 13 Treasures of Britain and awaits rebirth. At Alderley Edge in Cheshire, Merlin is said to be underground with 13 Knights waiting for England’s hour of need. In Roman mythology you have Romulus and the 12 shepherds. (12 shepherds + 1 Romulus = 13). In French mythology we have Roland who is the leader of the 12 peers. (Roland 1 + 12 peers = 13). In Danish mythology we have the story of King Hrolfr Kraki and the 12 berserkers. (Hrolfr 1 = 12 berserkers = 13). In Greek mythology there is the tale of Odysseus and his 12 companions. (Odysseus 1 = 12 companions = 13). On Friday 13th October 1307, the Knights Templar were arrested by order of the King of France Philippe IV. Jacques de Molay the last Grand Master of the Knights Templar was burned to death on Friday 13th March 1314. The Pope's bull of 1313 banned the Knights Templars. 13 is the Sacred Number of the Divine Creator/Source.